When Apple unveiled its first wearable device in June — the $US350 Apple Watch — it placed a large emphasis on the device’s fitness features. This seems to make sense: one of the main benefits you get from wearing something on your wrist rather than keeping it in your pocket is the ability to more accurately keep track of your steps and movement. Apple even created an entire promotional video to detail how its watch can monitor your activity and workouts through its new wearable. The truth, however, is that there are tons of devices that are cheaper than the Apple Watch that can offer more detailed information about your health. Granted, Apple’s wearable can do a lot more than these other fitness trackers. It’s designed as a timepiece first and is capable of displaying notifications from your phone, allowing you to send messages to other Apple Watch wearers in the form of a discrete vibration, and enabling mobile payments with a simple tap. However, if you’ve been eyeballing the Apple Watch purely for its fitness capabilities, you may want to look elsewhere. There are plenty of fitness bands on the market, and $US179 Jawbone’s new UP3 seems to be the most advanced so far. 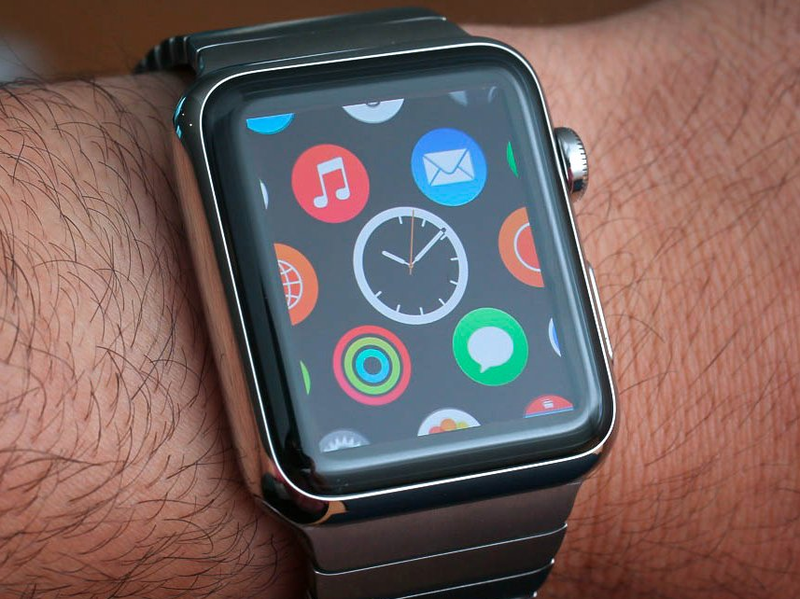 The Apple Watch seems like it will be great at helping you keep track of your activity. Apple’s Fitness app lets you view your workouts and activity over long periods of time, while you can see stats such as time, distance, and calories during a workout directly on the watch. Apple sums up your daily habits on its Activity app for the Apple Watch, which provides a snapshot of how long you’ve been moving, standing, and exercising throughout the day. Like most fitness trackers, it provides friendly notifications that tell you how close you are to your goal. The Apple Watch does this through its accelerometer, a chip inside the watch that can detect movement. 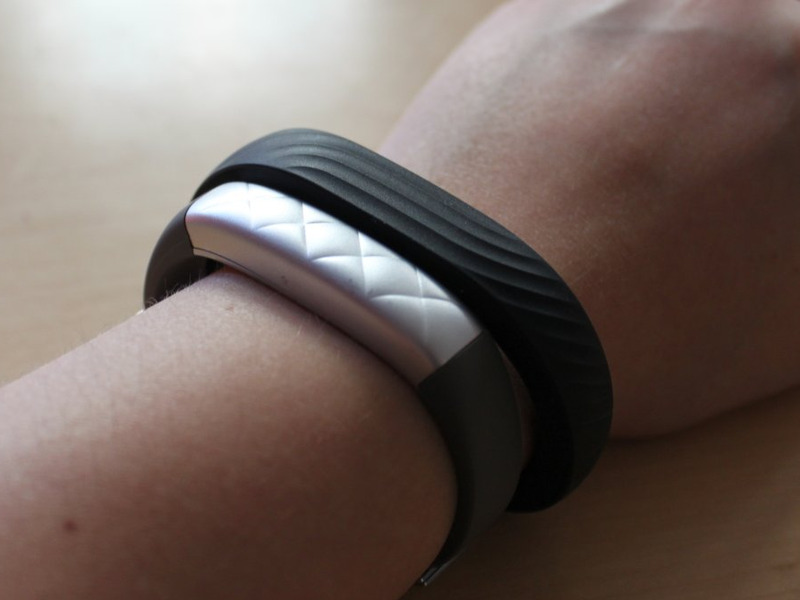 Most fitness trackers provide information about your activity though the same chip. 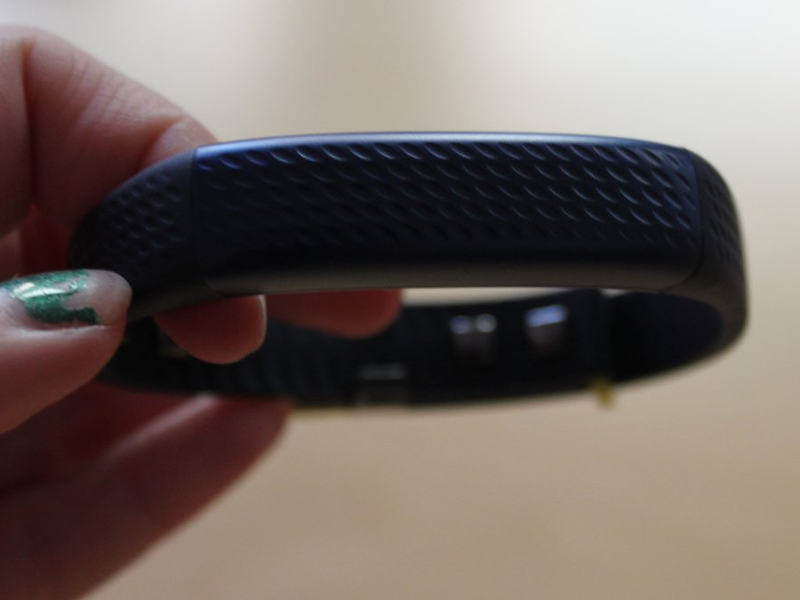 Jawbone’s new UP3 uses an accelerometer and two other chips that aren’t commonly used in wearable devices. One chip is capable of detecting both the temperature of your environment and your skin, so that the band can tell whether your body heat is high because of your surroundings or because you might be getting sick. The other chip allows for more accurate heart rate monitoring capabilities without draining the band’s battery. Most smartwatches use an optical heart rate monitor, which shines a light through your skin to read your heart rate and usually takes a toll on your battery. JawboneThe Jawbone UP3 comes in a bunch of different styles. The most important difference between Jawbone and Apple’s fitness features is that the former offers an entire platform dedicated to helping you stay on top of your habits. Jawbone’s free app makes it easy to keep track of the foods you eat every day and also monitors all cycles of sleep. This functionality isn’t specific to Jawbone’s app and new fitness tracker, but the company has recently made some improvements to its products that makes these features more accurate and easier to use. For example, Jawbone’s food logging app integrates with Foursquare to include menus from thousands of local restaurants so that you can simply tap a menu item to log your meal. If you want to manually enter food, Jawbone’s app automatically displays the items you log the most so you can quickly tap them to log. The new UP3 band also tells you about your sleep by displaying exactly how much time you spent in light sleep, deep sleep, and REM sleep. It’s also worth noting that Basis’ new Peak fitness tracker offers advanced sleep tracking, too, and is another great option if you care about getting more sleep and want something that has a screen. 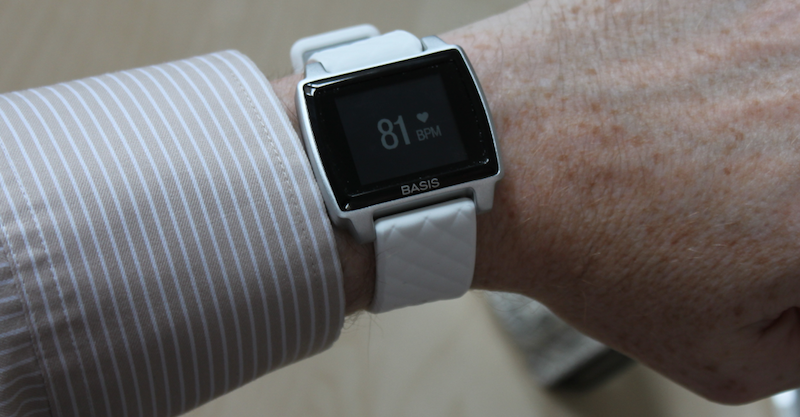 The heart rate monitor on Basis’ Peak band is also said to be accurate enough to replace a traditional chest strap. Although the Apple Watch doesn’t monitor your sleep cycles, you can use Jawbone’s app to log your food without actually buying one of the company’s fitness bands. Jawbone uses the information it collects to provide suggestions on how to change your habits rather than simply showing your activity. The company’s Insights feature offers pieces of advice based on your specific diet as well as general health tips. It doesn’t look like Apple’s health and fitness apps offer this type of feedback. The $US350 Apple Watch isn’t meant to be dedicated fitness tracker like Jawbone’s new UP band. But if you want something that can help you learn more about your sleep, exercise, and nutrition habits rather than a device that acts as an extension of your phone, check out the $US179 UP3. If you don’t mind spending a few extra dollars and want a more advanced fitness tracker with a screen, the $US199 Basis Peak is worth checking out, too.